In addition to the Chinese Colour Match I created some time back, I have also created a similar set – Chinese Numbers Match Printable – for Chinese numbers. Numbers are numbers, but in Chinese, there are characters for numbers. So it is important to know how to read and write them. 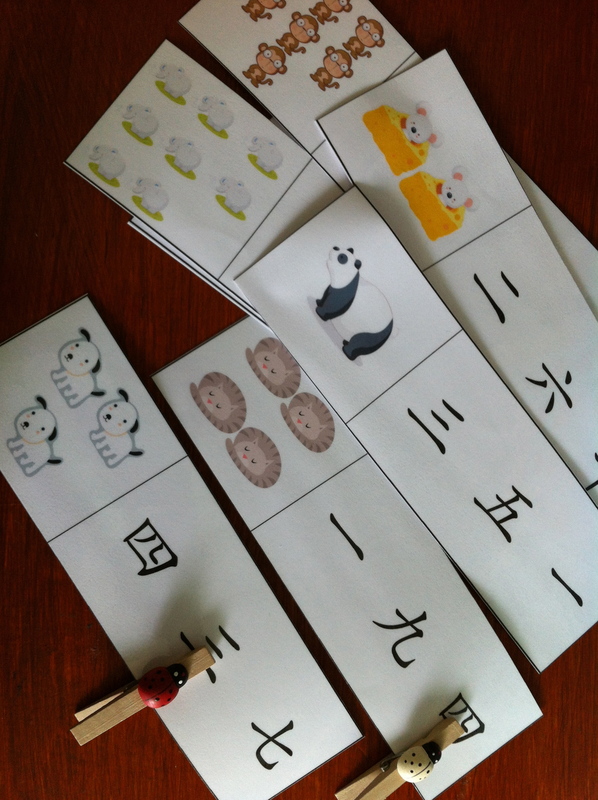 This set is good for helping preschoolers learn how to recognise the ten Chinese characters for the numbers 1 to 10. The child will count the pictures on the left and use a cloths peg, or any kind of clip, to clip on the correct character. Alternatively, you can laminate the cards and get your child to circle the correct character using a whiteboard (dry erase) marker. To download this printable for free, click the link below.